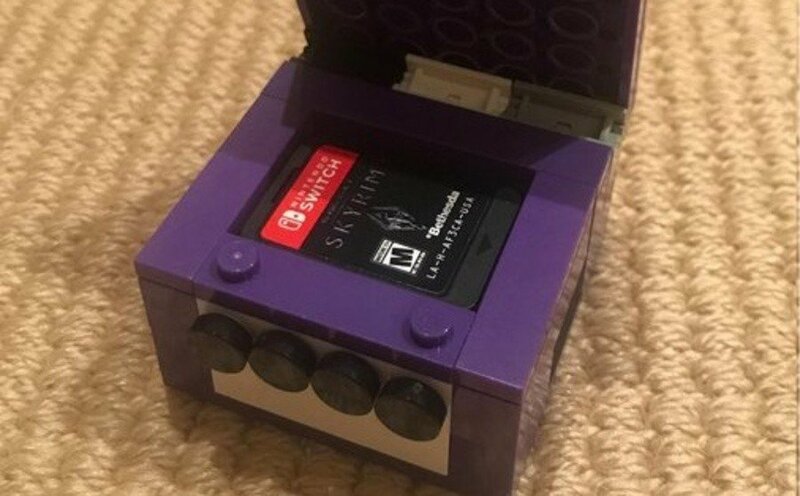 There are plenty of ways to store your favourite Switch games - whether that be with official merch, just in their boxes, or even in an old Game Boy cartridge case - but here's a particularly creative solution. 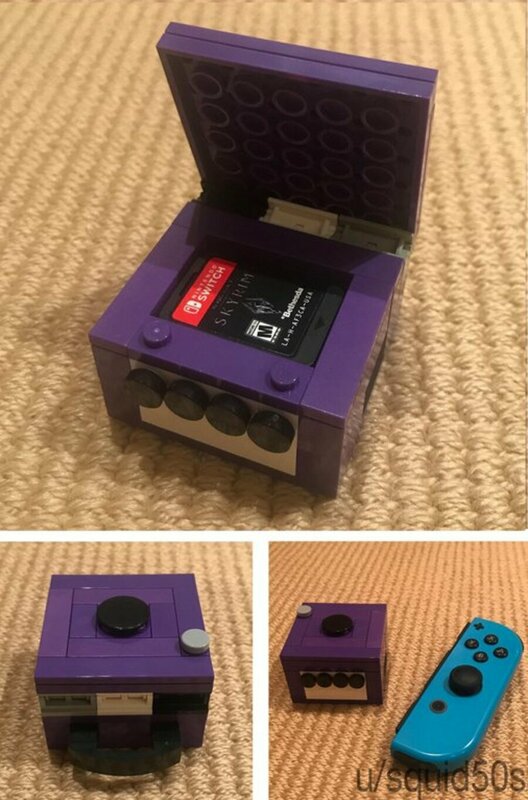 Reddit user, squid50s, has created their very own LEGO GameCube. This isn't your average, adorable GameCube model, though, because this little build has been designed to store a small handful of Switch games. You can see how it works in this video below. Naturally, being so small, you can't fit that many games inside, but it's definitely a cool little thing to have on your shelf. The best part is that you could always go ahead and build one of these for yourself, too, or even try to build an entirely different console. squid50s has actually created several game holders out of LEGO, even providing instructions on how to build some of them and the parts you'd need. You can check those out here if you're interested. Do you feel inspired to create your own gaming accessories out of LEGO? We must say, it's a clever and creative solution if you have any bricks lying around. That's pretty creative and useful. Let's hope he doesn't have any kids who find it and think it's a toy. I’ll have to look into my box of Lego, could well have the pieces. Harder than it looks, purple isn't the most common of colours. I will try for storing my GBA games. Really cute! But how many will find the legendary purple Legos to build this cutie? While I could easily build this in black, I'm such an old-schooler in LEGO terms, that I have hardly any purple bricks at all. And if I were to invest in bricks for this (which I well might) I'd be getting some orange ones, and build myself the Spice GameCube I never had! You'll need a somewhat bigger GameCube model for those, but do show us the results! Cute, but not very practical. You'll need to dump all the games out and put them all back in every time you want to play a game that isn't at the top of the stack. True, but that will be a very fast process for 5-6 games anyway. I want this, but I don't have the peices. Maybe I could try the platnum one! This is too cute. This also reminds me of a LEGO Dreamcast I saw a few years back on a Dreamcast fan site. I love it when people do this. "Do you feel inspired to create your own gaming accessories out of LEGO?" No, but I do feel inspired to ask my daughter to make something similar.